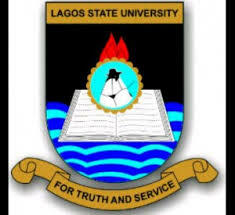 Lagos State University, LASU Matriculation Ceremony Date for Freshers/Newly Admitted Students for the 2018/2019 Academic Session. The Authorities of the Lagos State University, LASU has announced the Matriculation Ceremony for all 100 Level Freshers/Newly admitted students of the institution for the 2018/2019 academic session. SEE ALSO: LASU Orientation Programme Schedule for Freshers 2018/2019. LASU 2018/2019 Matriculation Date Holds on : Friday, 7th June, 2019. LASU 2018/2019 Matriculation Ceremonies Venue is at: University Auditorium Complex, Ojo. All Freshers are expected to begin collection of academic gowns as from Thursday 30th May, 2019. See Procedures for LASU Matriculation Gown Collection and Payment Procedures.